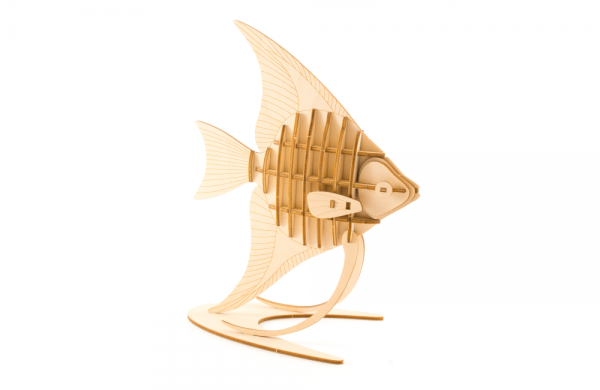 This elegant fish is a great desk companion for any fish fan. The long fins are etched with a striped detail to highlight the beauty of the animal! Ki-Gu-Mi fun fact: Angelfish comes in two types: marine Angelfish and freshwater Angelfish. Experts say that the species is very clever, and when kept as pets they can even recognize their owners!